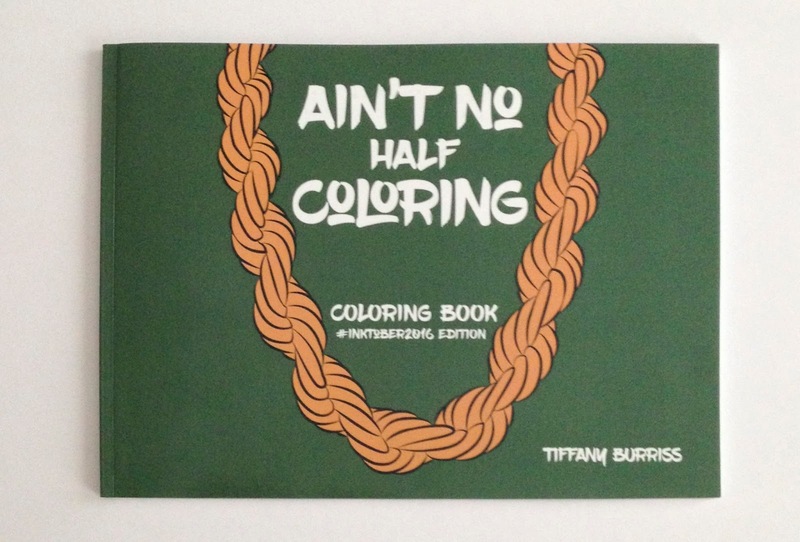 'Ain't No Half Coloring' is the new coloring book by artist/writer Tiffany B.; it features 31 drawings with some of Hip-Hop's most talented MCs, producers, and DJs. 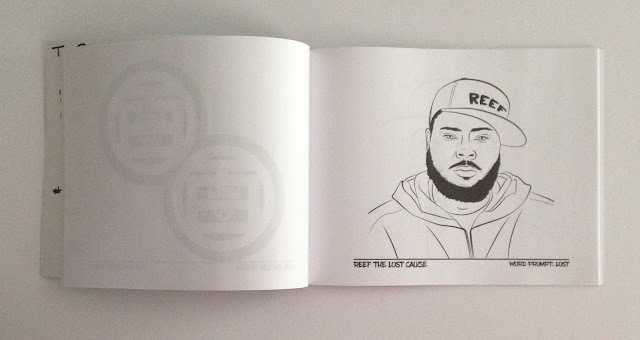 Not only an expression of her artistic talent, the collection also showcases her unique taste in music, which offers the opportunity to celebrate artists that are truly pushing the culture forward. 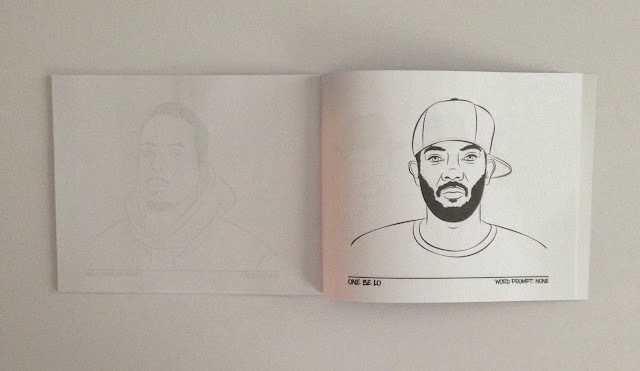 A sample of the artists included: DJ Premier, Pete Rock, One Be Lo, Reef The Lost Cauze, L'Orange, Black Milk, Pharoahe Monch, Ghostface Killah, MF Doom, Blueprint, & 21 more. We celebrate quality art and niche offerings on Hip-Hop Nostalgia, so if you're here, this coloring book is perfect for you! I've got my official signed copy, click HERE to order yours and support independent art. Now, let me go find my markers and crayons so I can get busy!